It is encouraging to meet the many successful graduates of Hope International University who are filling positions of servant-leadership around the world. As a graduate, there is additional information required for students participating in commencement. 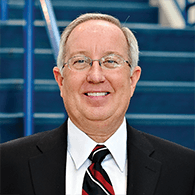 Dr. John Derry is completing his sixteenth year as president of Hope International University has authored articles and spoken nationally and internationally on various topics relative to Christian leadership and higher education. Our main campus is located in North Orange County, in the city of Fullerton, California, U.S.A., and hosts our undergraduate residential programs. 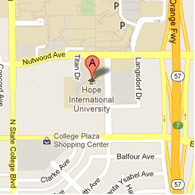 Ready to plan your trip to Hope International University? 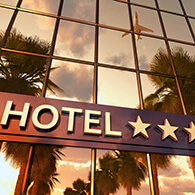 Local hotel accommodations within the surrounding cities will provide a comfortable setting. The current graduating class represents a global student body of nearly 4,000 students drawn from 42 states and 16 countries. 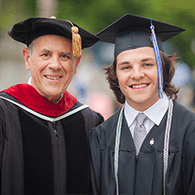 These graduates join over 13,000 alumni who carry a rich and storied legacy of leadership, ministry, and service.